From the molded latticework to the chandelier hanging from the ceiling, this dollhouse is full of gorgeous details sure to put a smile on any young one's face. With 16 colourful pieces of furniture, elaborate, heart-shaped lattice work and a hanging chandelier, this is the ultimate in grandeur. 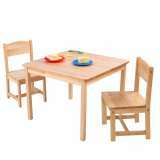 The Star Table and 2 Chair Set is the ideal place for homework, games or arts and crafts. Because of the tables natural wood, this fun furniture set would look great in any kids room. There are two convenient storage bins under the table which can be reached from either side. The Chelsea Doll Cottage is filled with details young children are sure to love, like windows that open and close and adorable heart artwork that stretches across the roof. This dollhouse also comes with a whopping 19 pieces of furniture, including a gorgeous grand piano and bunk beds with a ladder. Any young child will feel like a hero sleeping in the Fire Truck Toddler Cot. 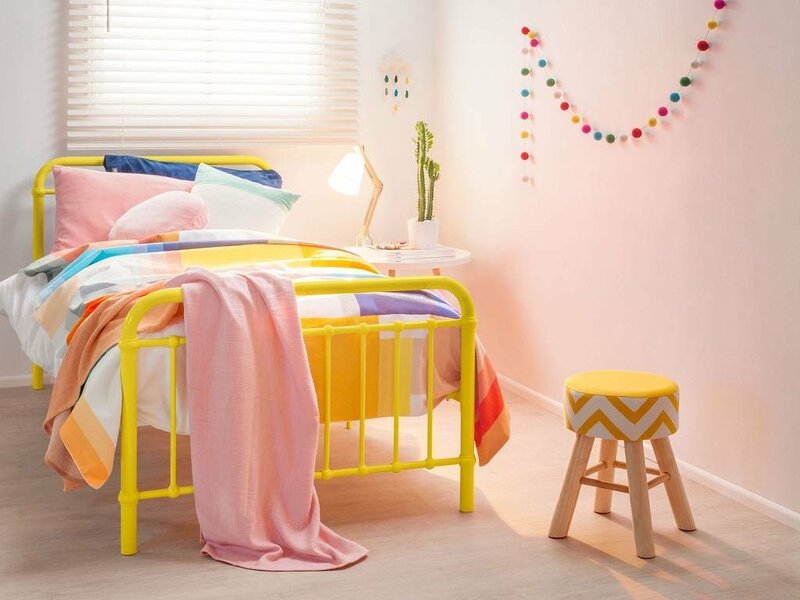 With a convienent storage compartment and ladder cut outs on the side that double as a bed rail, children will go to sleep feeling like they are part of the action. 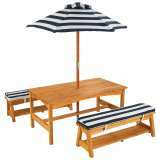 The Outdoor Table and Bench Set with Cushions & Umbrella by KidKraft is perfect for the summer months, and will look great on any patio. Comes complete with a matching canopy and cushions, convenient storage below each bench and a tall umbrella to help shied children from the UV lights. These Orange, Grey & White Play Teepee by KidKraft stand at over three-and-a-half feet tall and were built to last. It features include a mesh window which allows parents to look in and kids to look out!